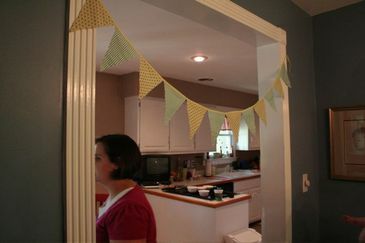 ....bunting that hung between the door ways -little yellow and green polk a dots. I think bunting makes everything look so festive and cheerful. It would be fun to make bunting for ordinary days so when there is a day that needs to have an extra "zip" to it. Hang up the bunting! 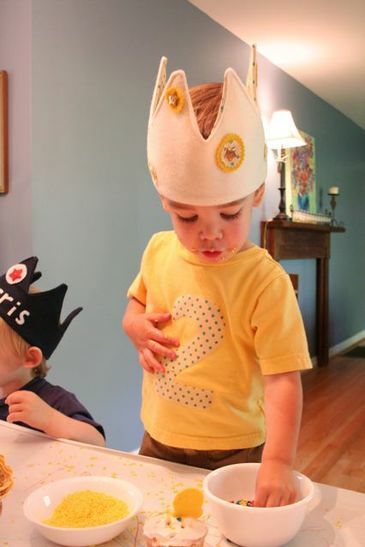 Notice matching crown and shirt and crown boy ( Harris) next to Caleb. 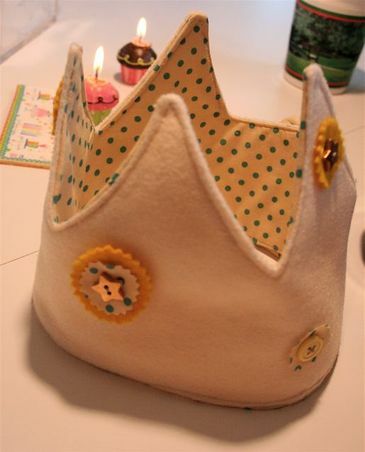 Katie made all the kids crowns for their own birthdays! So thoughtful and creative! 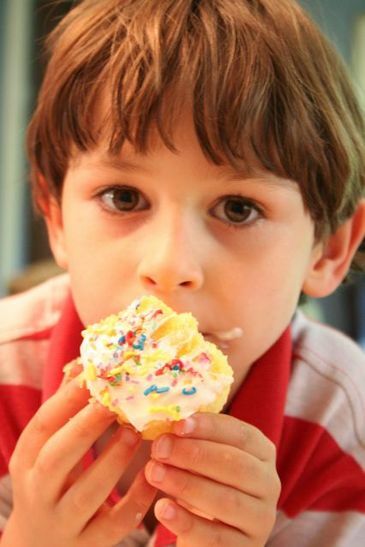 Sam loving the sprinkles and cupcake! 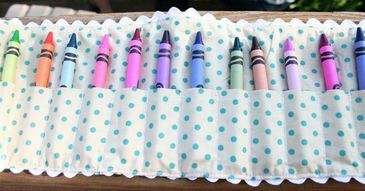 And after the kids gobbled down cupcakes and teeter tottered around the yard, the kids went home with this- a little crayon holder that wraps up and ties with a ribbon! Love it! 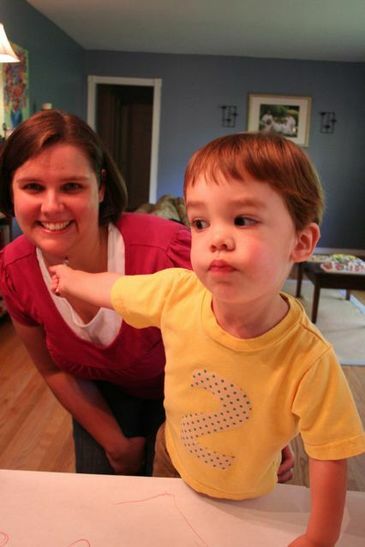 Thank you Katie for being such a clever and fun mommy who turned a two year old birthday party into extra sweetness with your homemade creations. Yep, I think you have some Marie Claire Idee -ness ( French craft magazine) flowing through you! You're an inspiration...makes me want to get some needle and thread out and make something.